As an aid to helping me keep a minimalist wardrobe I stumbled across this simple idea. It will work on minimising your wardrobe or closet if you are a man or a woman. Take a coathanger and mark it with something like a coloured ribbon, a piece of duck tape or possibly use a special one-off hanger. At the beginning of your chosen clutter period just hang it at the right most position on the rail. 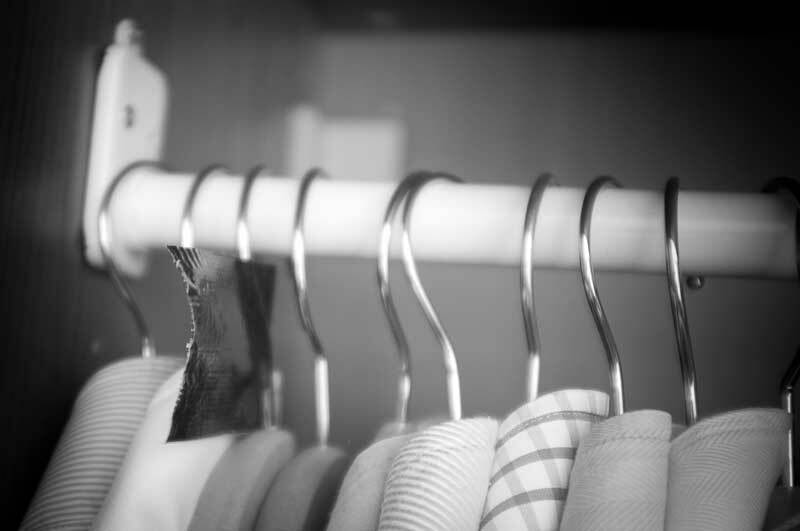 Then when ever you put an item back in the wardrobe after use, or washing, hang it to the right of the marked hanger. Then at the end of the clutter period, I use every 6 months, but it can be a year or perhaps less, everything to the left of the chosen hanger you haven’t worn, and you can ask yourself, do I really need this ? Good quality clothing is always welcomed in charity shops, and there’s always a charity bag coming through the letterbox wanting unwanted clothing. You can do this with drawers also, putting everything back in rotation so you can see whats worn and what isn’t. There will always be items that are rarely worn that we do need to keep, the skiing jacket, the black tie or cocktail dress for the ladies, but for the majority of us, there will be some clothes we simply don’t wear any more. 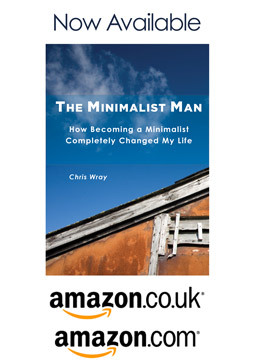 If this blog entry was useful please let me know in the comments, or let us know about how you keep a minimalist wardrobe. Hi, I’ve just found your blog and love it. As far as the clothing goes, I keep my clothing on two rails, neatly on wooden hangers, sorted by tops, jeans, skirts etc., so they look neat and tidy. The real advantage is that they are on view, that way you can easily see something you haven’t worn for a while and then get rid of it. It helps greatly with the problem of things disappearing into the back of the wardrobe never to be seen again but adding to the clutter. I find it works really well.